West Coast Taekwondo was born to serve the community as the number one spot for learning self-defence, improving self-esteem and creating everlasting friendships. My son has had coaching with Gethin over the last year let me just say that he's a very nice guy, and knowledgable beyond belief Whatever he coaches he is very professional you won't go far wrong to get some coaching off this top top guy. Gethin has given my son lots of encouragement and motivation in his chosen sport of TKD. He is supportive and very enthusiastic. Come along to one of his sessions and I guarantee you will not be disappointed. Gethin is so passionate and enthusiastic with what he does. His knowledge and experience is outstanding. I can highly recommend him and his classes! Well done Gethin! Fantastic instructor! Gethin has underpinning scientific knowledge that make his sessions enjoyable, relevant and beneficial. Whether you're a novice or a serious competitor, Gethin's background and experience within the sport and sporting world, ensure his sessions cater for all. Keep safe with practical striking, defensive blocking and street wise knowledge. Break out of your shell with our warm and supportive community. Become focused, patient and polite. Boost your stamina, get stronger, lose fat and improve your flexibility. Enjoy our games, hit pads and laugh out loud. 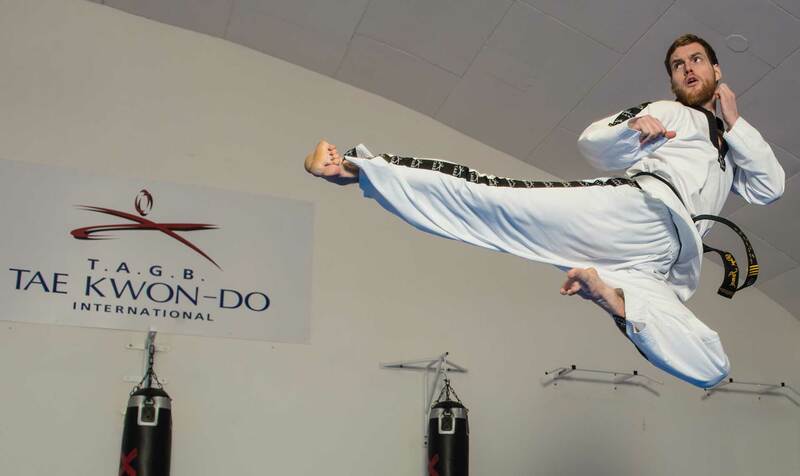 Taekwondo is a blast! Get involved in team based activities, club social events and expand your friendship group with us. I've trained with Gethin in TKD and he has always given me useful tips on how to improve my training and sparring techniques. Would definitely recommend. Gethin is the reason that I started training martial arts. His knowledge is second to none and his enthusiasm will push you further than you ever expected you could go. Gethin has amazing skills as a martial artists I watch him in a few of my classes I attend and people will be lucky to have him as a instructor very chuffed for him to be branching out. West Coast Taekwondo © All rights reserved.